Lotus will run a tweaked version of their livery to commemorate Spanish Renaissance painter El Greco. 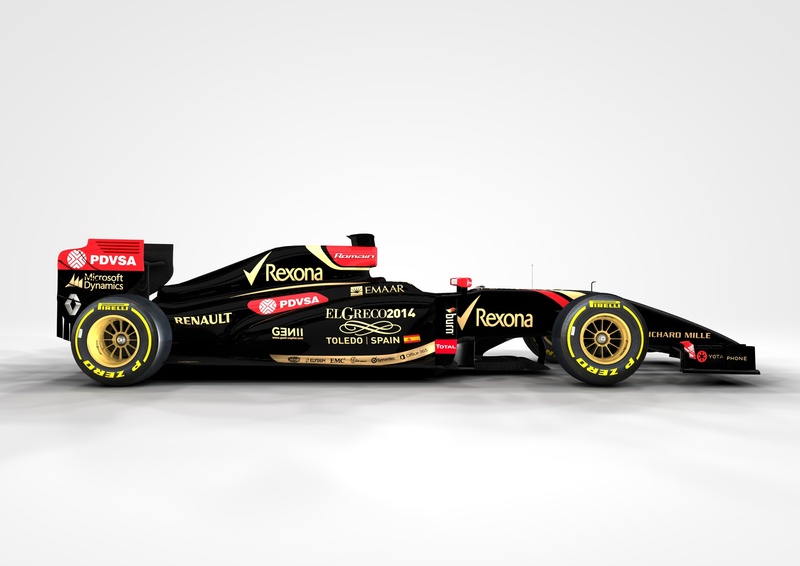 2014 marks the 400th anniversary of El Greco's death and Lotus will mark the passing by running a special livery at the Spanish Grand Prix. "This is the first time a Formula 1 team has publicised a Spanish cultural event so prominently," said co-owner Gerard Lopez. "We will promote the El Greco exhibition – for no commercial fee - to a global TV audience of over 600 million people. Through this the legend of El Greco will be displayed in support of Spanish Culture and cultural tourism in Spain." A commemorative helmet will also be presented to the Spanish Prime Minister, Mariano Rajoy on Thursday, and to His Majesty King Juan Carlos I during his planned visit to the Circuit de Barcelona-Catalunya on race day. Vettel: "Staying out was not an option"